We’ve all read the newspapers and magazines, and we’ve all seen the news reports. We know we’re meant to be avoiding GMO foods and products, but we’re not really sure why. Everyone keeps telling us they’re bad, these GMO crops, but apart from knowing they’re foods that have been a little genetically modified, the majority of us don’t really know the deal behind GMO technology, or GMOs in general for that matter. That’s why we decided to bring to you the 6 pros of GMO foods… Because you shouldn’t believe everything, you read in the newspapers. 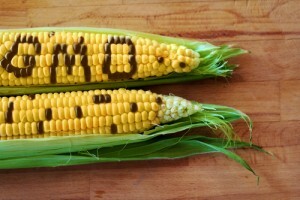 To understand how GMO foods are good for you, you must first understand what they’re all about. Just as the name suggests, GMO crops are genetically modified crops – crops that have had some genetic alteration to make them better than they would otherwise be. A specific gene would be added, for example, to make them less attractive to pests that could otherwise destroy an entire harvest. As it stands, farmers use very dangerous pesticides and insecticides on crops to kill pests, both of which have a negative effect on the eco-system and have shown to cause more harm than good to other members of the wildlife community. When a gene is added to a crop with a bacteria that is toxic to these pests but completely safe for humans, the crops are free to grow without harassment or destruction, which in turn is only a good thing. Fewer insecticides and pesticides are GOOD for us. GMOs aren’t just there to add genes that make the crops less likely to be invaded by pests. They can also be added to foods to ensure they survive in harsh or adverse weather conditions which, again, can only be a good thing when half of the world is starving.